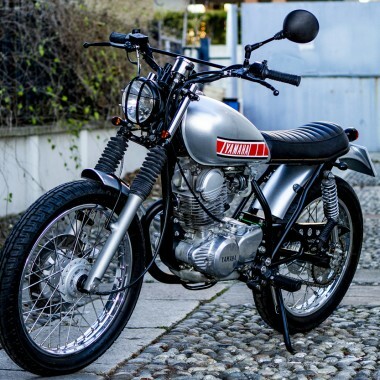 In the 1970s, the Universal Japanese Motorcycle (UJM) revolutionized the industry — a general-purpose, rider-friendly machine that made motorcycling more accessible to the public. 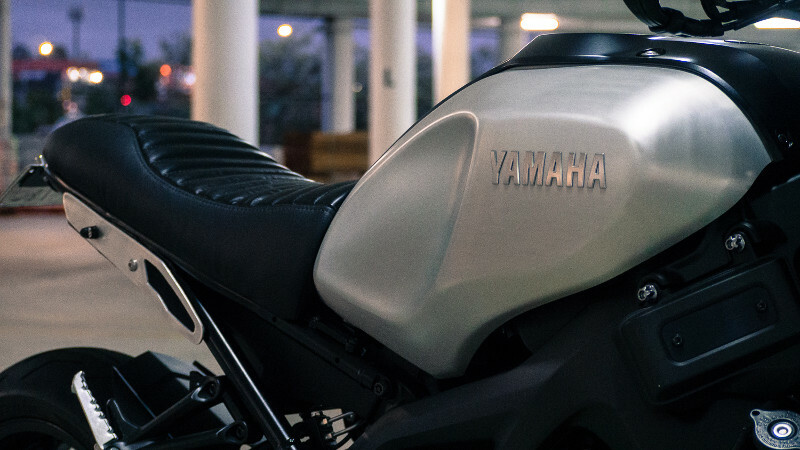 These naked/standard designs had upright ergonomics and powerful, reliable engines. Within a couple of decades, however, the UJM would fragment into a wide array of the specialized, niche designs we know today. 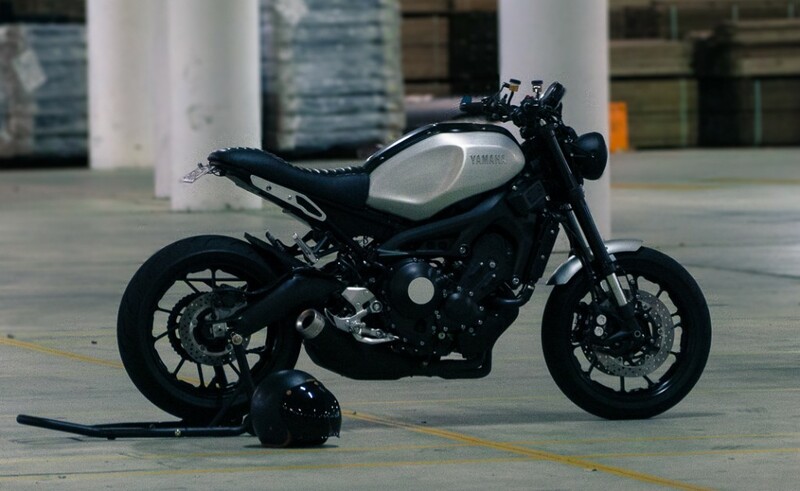 Below, we get the full story on this modern XSR custom. Purpose Built Moto has now grown beyond what I could have thought a year ago. Thanks to my work in the garage, and supplying high quality parts to other builders around the world, I’ve been able to move from my home garage into a full size workshop and be able to take on more work and bigger projects (and hopefully pump out better bikes). 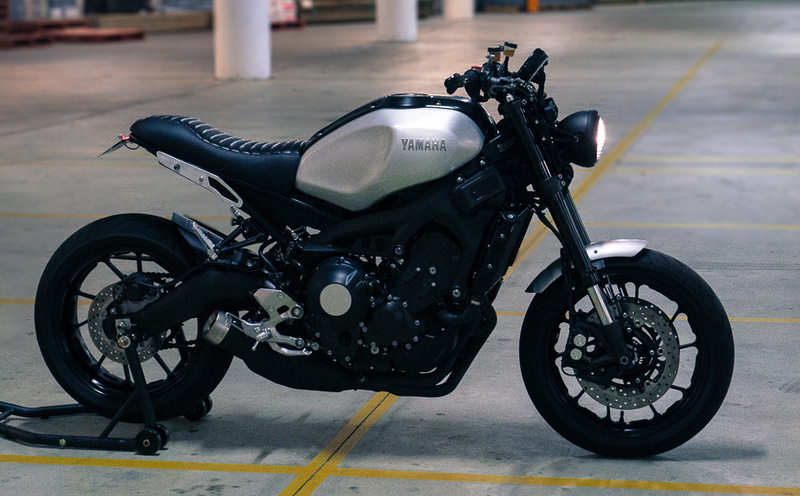 After upgrading from an XSR700 the rider wanted a more unique look for this modern classic. He wanted a subtle style, so the whole project revolved around building out the idea of a factory styled custom. 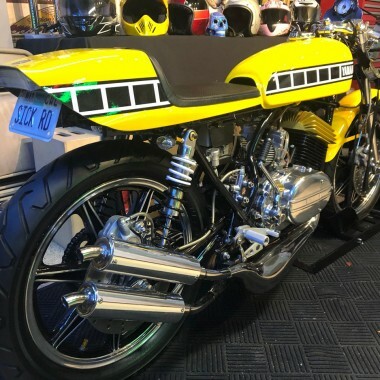 Angling toward the subtlety of a factory custom can be a fine line between getting it right, or just building a plainly boring motorcycle. While I didn’t go all out with wild modifications, the upgrades are functional, and look great. At the same time a lot of the factory colours and style were kept, to almost give the illusion that this bike could have rolled straight of of the factory. 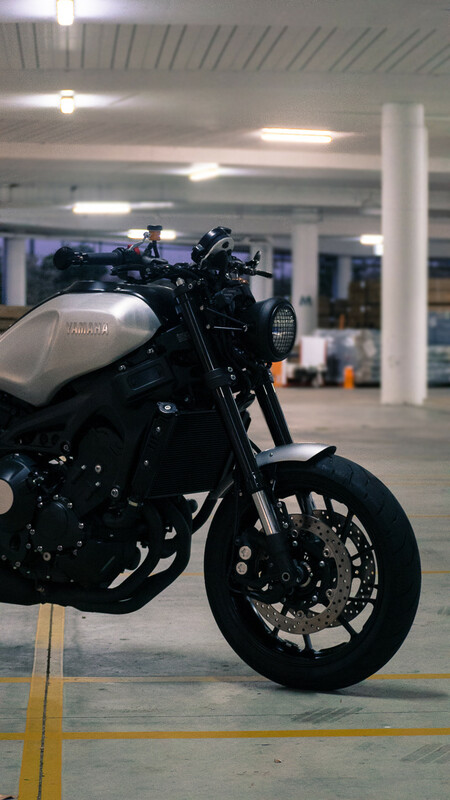 The XSR900 had the bars and master cylinders swapped, all really high end stuff. Carbon fibre bars, Brembo master cylinders, Rizoma mirrors and a Frando hydraulic clutch conversion with braided lines. 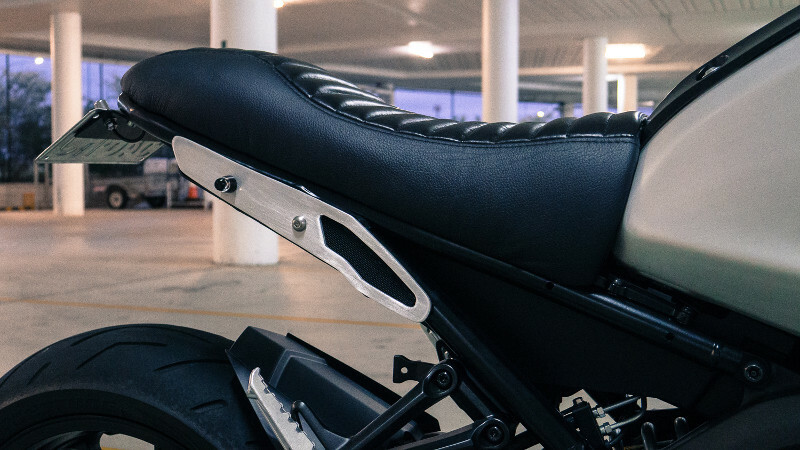 The subframe was shortened and an LED brake light integrated into the frame, ontop of that we built out a custom seat, keeping the factory key latch and covering it with a vintaged black leather. The shape of the seat has been soother out to create a nice flow for the silhouette over the tank and seat. After the seat the factory headlight brackets and side cover were removed. And a far more minimal solution was fabricated. 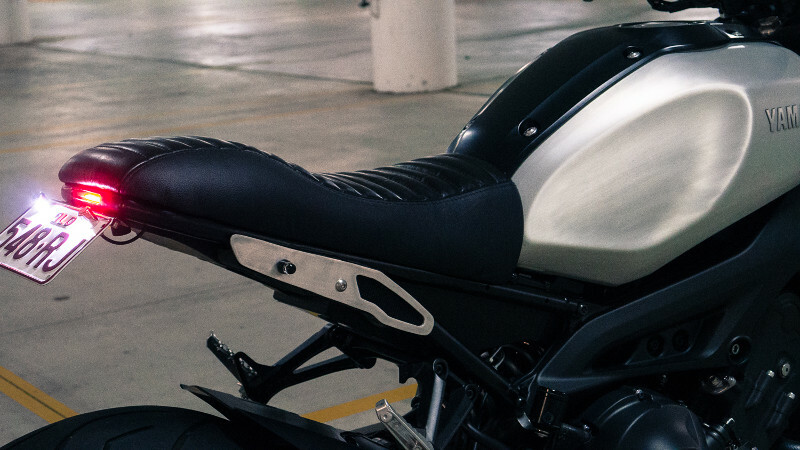 The new side covers were patterned and shaped by hand to house the new turn signals and slim out the tail of the bike. Up front it was given a new 5.75” headlight and some custom brackets. The front guard was also swapped out for a brushed aluminium fender and some nice minimal stays fabricated for that as well. I guess this thing is a modern custom, there’s not much retro about it at all. 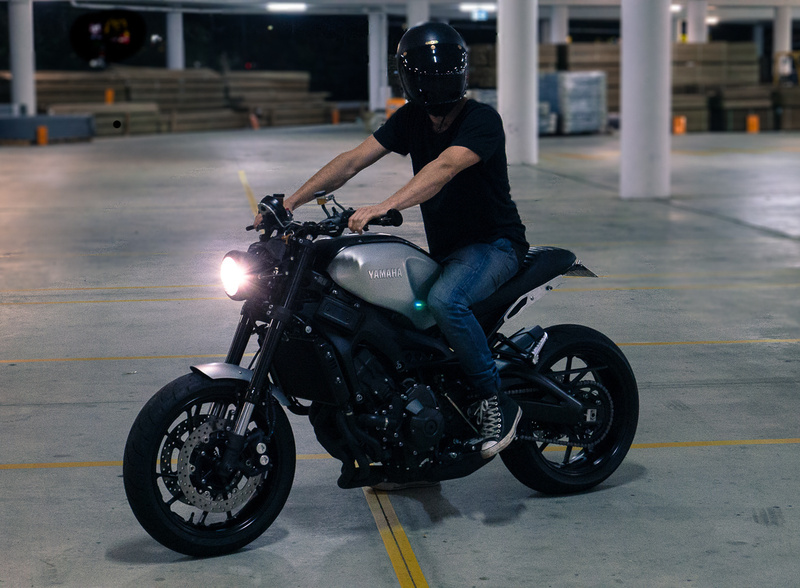 It’s just a clean re-imagining of what the XSR900 could be. 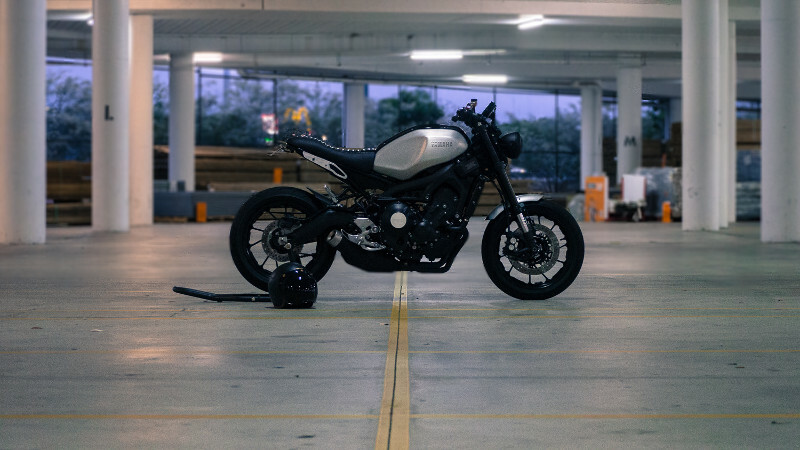 Due to the minimalist approach I think the most appealing thing about this bike is taking a look at the standard XSR900 next to this one. 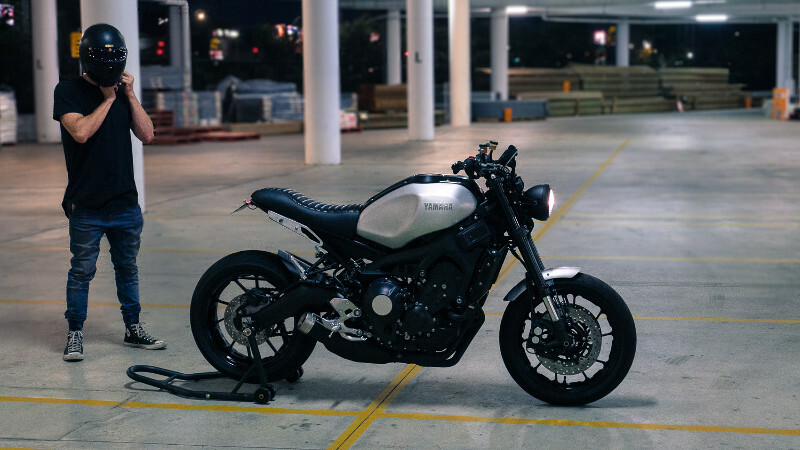 The modifications completely change the look and feel of the bike. It wasn’t a lot of work, but the work we did was carefully thought through and executed well. The tail piece being one of the more noticeable of the changes. It’s clean enough you could eat off it! I test rode one of these stock at a local dealership. Heard the voice in my head say “do not buy this bike”. It’s a hooligan bike and nothing I’d ever want to see a newbie or a kid buy. Quick way to jail is on this bike model. So, bottom line for me is that this bike has no real purpose to it. May be why the one and only one the dealer had is still on the floor and now selling at discount for $6,999.00. It’s a bike you never need. Sad. Do you even motorcycle, bro? Motorcycle and ‘need’ don’t in the same sentence for the most part. 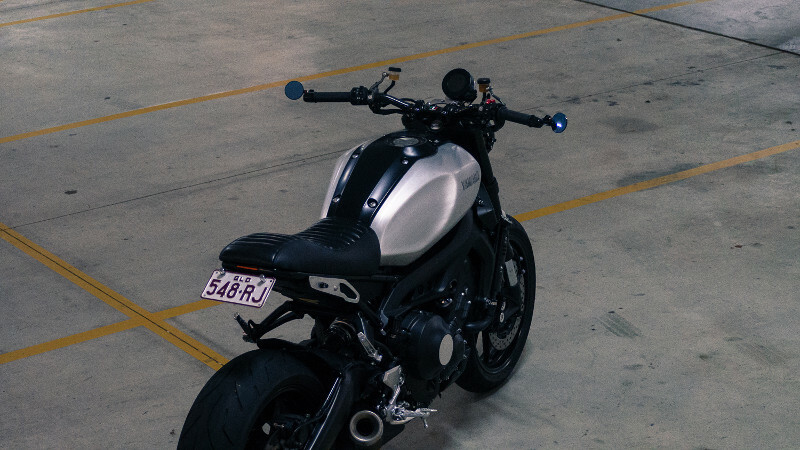 Just about any bike could put you in jail if you ride like a maniac. I’d snap up one of these in a minute for $7k.